7 days from £708pp plus international flights. This makes an ideal introduction to India for the first-time visitor. 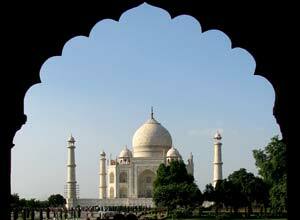 Combining Delhi, Agra and Jaipur, it is one of our most popular India trips. 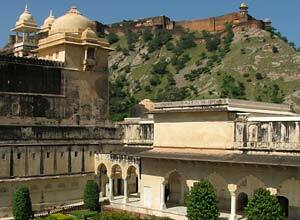 This short trip takes in the most famous sites in northern India. The circuit of Delhi, Agra and Jaipur is widely known as the 'Golden Triangle' as it takes in some of the finest examples of India's architectural and cultural heritage making it one of the most popular India holidays. It is an ideal trip for anyone wanting to see the classic sites like the Taj Mahal, the pink city of Jaipur, and the historic capital of Delhi. With your personal guide, you have the opportunity to learn about the history and culture of this land. You will travel in comfort in your air-conditioned car and will stay in some lovely hotels. 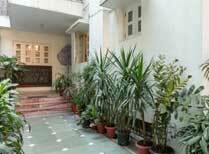 You will be met on arrival at Delhi airport and transferred to your city accommodation. The rest of the day is free for you to relax after your flight. Colonel's Retreat is in a quiet residential part of the city and has a home-from-home ambience, ideal for unwinding and chatting to your hosts and fellow guests. This morning you will be collected from Colonels Retreat for a full day tour of both Old and New Delhi. 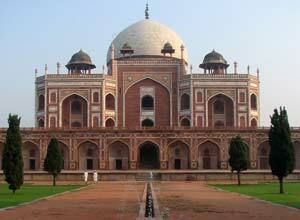 The tour will include sites such as The Red Fort, Jami Masjid, markets, New India Gate, Humayun's Tomb and the Qutub Minar. There may also the chance to take a rickshaw ride in Old Delhi, if time allows. After breakfast you will be driven to Agra which takes about 3 hours. You will have a guided visit of the Red Fort and Baby Taj. We leave the visit to the Taj Mahal until late in the afternoon so you can see it as the light changes at sunset. Gorgeous! The image is sure to make a lasting impression, backed up by your photographs. We suggest an early start today. It's worth it to visit the Taj Mahal at sunrise, before the crowds arrive. After returning to your hotel for breakfast, you will be driven to Jaipur, stopping at the ancient city of Fatehpur Sikri. This red sandstone ghost town dates back to the 16th century, designed as the Mughal capital, it was occupied for only 14 years, due to the water supply being inadequate. Today it is a perfectly preserved masterpiece of Mughal glory. 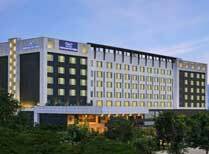 Continue to Jaipur and check in to your hotel. This morning you leave the city for the short journey to Amber Fort. Outwardly imposing, inside the fort is ornate, with walls decorated with murals, frescoes, and paintings or covered with intricate carvings, mosaics and elaborate mirror work. We return to Jaipur for a guided tour of this famous 'pink city'. Highlights include the palace museum, Sawai Jai Singh's fascinating observatory Jantar Mantar and the beautiful Hawa Mahal or Palace of Winds. You will be driven back to Delhi today, a journey of approximately 5 hours allowing you to enjoy the views and witness scenes of everyday life, plus the possibility of a stop in the attractive walled town of Samode en-route. On arrival check back into Colonel's Retreat with the rest of the day at leisure, with a car and driver at tour disposal. You will be transferred to the airport in time for your flight home. Price notes: 2019/20 prices based on 2 sharing excluding flights: Up to Mar 2019 from £830. 01 Apr - 30 Jun 2019 from £708. 1 Oct 2019 - 30 Apr 2020 from £969. All accommodation on twin share basis; meals as specified; services of an English-speaking guide for sightseeing; all transfers, sightseeing and excursions as per the itinerary in an exclusive chauffeur driven air conditioned vehicle; all entrance fees on guided tours. There are several daily direct flights from Heathrow to Delhi, costing about £400 return, though varying according to season and availability. 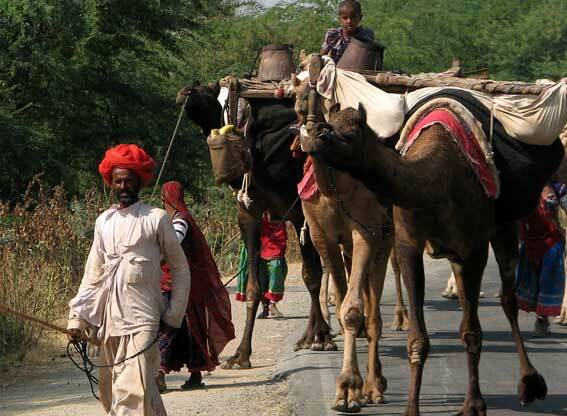 Departure dates: We can arrange this trip for you at any time you like as it is a tailor made India itinerary. We can also tweak it in anyway you like, so just give us a call if you're interested in this holiday. 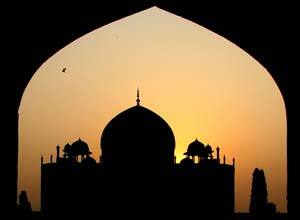 Agra is a medieval city on the banks of the Yamuna River. The famous monuments of the Taj Mahal and the Agra Fort are both here. The Taj Mahal is one of the most famous buildings in the world. 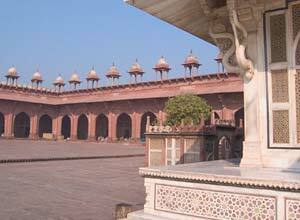 It is the crowning glory of Mughal architecture in India. Not to be missed! 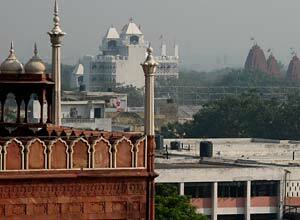 Delhi is India's vibrant capital city. It is a busy, noisy, crowded city filled with modern urban sprawl shooting up around its ancient sites. Although Old Delhi fits the stereotype of narrow alleyways that are almost impossible to negotiate by car, New Delhi was laid out with wide tree-lined streets, and can be surprisingly green and peaceful. Jaipur, popularly known as the Pink City, is the capital of Rajasthan state and the former capital of the princely state of Jaipur. Jaipur was the first planned city in India and unlike many other India cities, the walled city has broad, straight streets and is remarkable among pre-modern Indian cities for the width and regularity of its streets.